In early August, the Rotary Club of Atago in Tokyo came to visit with some blind students from the area of Sendai. The visit was a week long event that started off with camping for the students and teachers. Imagine a blind person who has never left home experiences a trip to Hawaii, and their first night stay: in a tent at the beach! A nice beach - thanks to our friends at Bellows Air Base, but roughing it nonetheless. 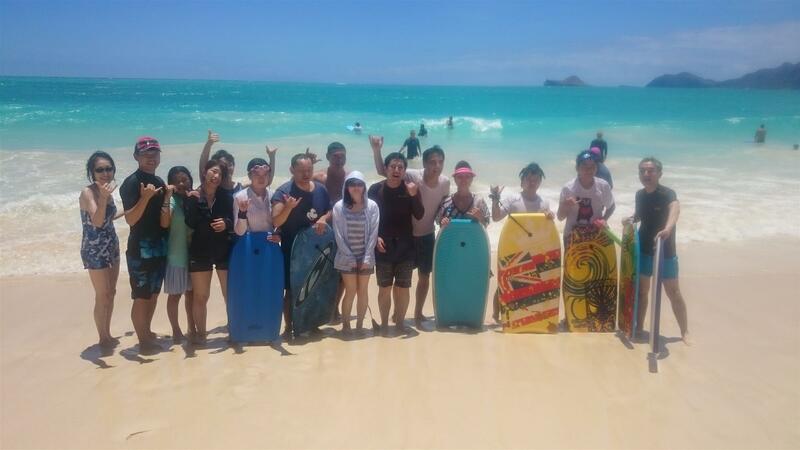 We had activities like singing, story-telling, a scavenger hunt, and of course learning to body board and catch waves. Imagine being blind and trying to catch a wave? How would you do it? Imagine the sensation of being in the water when you've never been? After camping at the beach for two nights, it was off to home stays with Rotarians and the learning went both ways! Not only was there cultural exchange, but a growing sense of understanding that the blind can achieve and accomplish things just like the sighted. It changed attitudes in the teachers, seeing how to push students that they can become independent and can push boundaries! 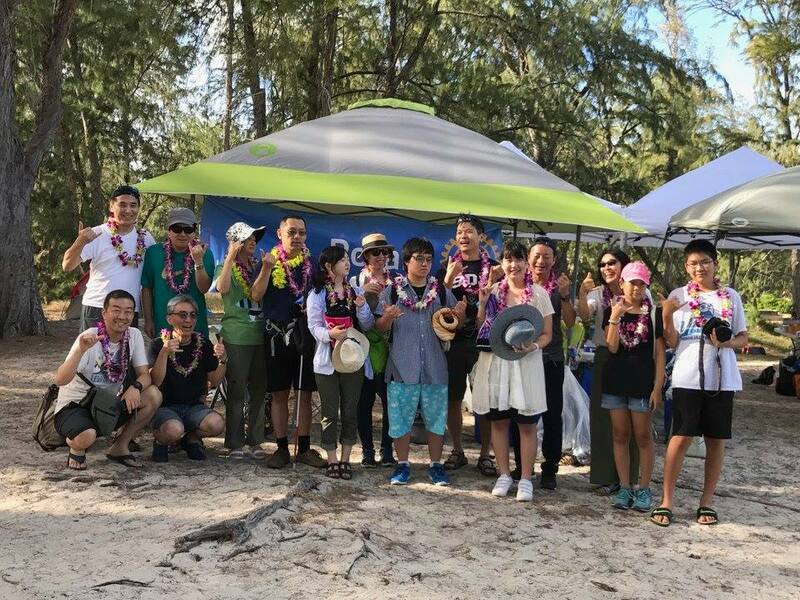 visits to Ho'opono services for the blind helped the Japanese students learn confidence and independence. What an inspiration for the Japanese teachers and the students who visited! Finally a send-off dinner and thank you's at our meeting. We love to help change lives for the better by helping where we can! Thank you Atago Rotary - you guys are an amazing bunch!